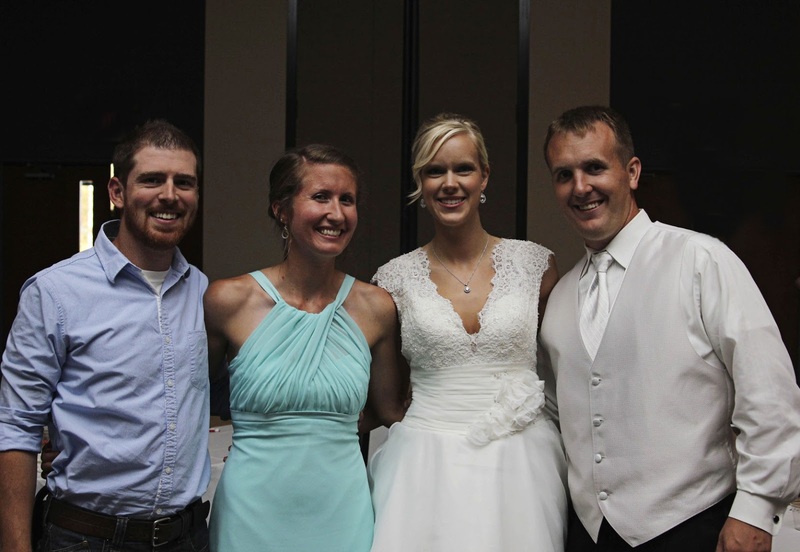 Last Thursday, Jordan and I drove 9.5 hours to Springfield, Illinois, for my best friend's wedding. And it was, in fact, my best friend's wedding except for the fact that I wasn't in love with the groom and I'm not Julia Roberts. If you're a red-blooded American awesome person, you would of course respond with a loud screech and a shout: "We have to stop there!" And Jordan rolled his eyes at me because he's not a red-blooded American awesome person. Clearly. After seeing the billboard we had at least 10 miles to discuss the greatest we were about to witness, and I started to get suspicious. I felt like "world's largest" seemed a bit dramatic. Surely if it was actually the largest, it would just say "America's." World's just seemed too big, like they were trying to make up for the non largeness. It's like the World Series. Um, hello. It's not the world. It's America. Although I agree that "America Series" doesn't sound quite so exciting. I decided I would be happy if it was at least taller than a Cracker Barrel rocking chair. I pictured myself sitting on a rocking chair throne of awesome while eating one of those delicious peppermint sticks they sell at Cracker Barrel. 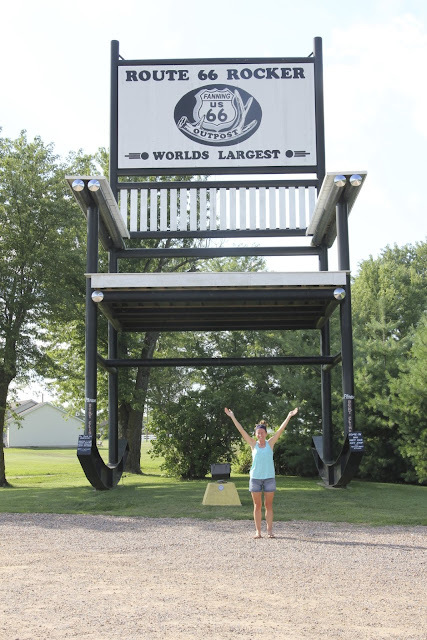 The world's freaking largest rocking chair. And I thought I was going to be able to sit in it! Well played, Route 66, well played. That's when I learned to never doubt the billboard. So there you have it. The world's largest rocking chair is located in Cuba, Missouri, along I-44 and Route 66. I dare you to show me a larger rocking chair. Do you like to stop at random tourist attractions or do you keep on driving by? Have you ever stopped to see the world's largest rocking chair? I'm SO adding this to my reverse bucket list, by the way. I would love to go across country stopping and photographing places like this. But I'd be very disappointed in not getting up on the rocker. There needs to be a ladder--or a couple flights of stairs?! Both those wedding dresses are awesome! Hope you had a great time! I always travel with my family, so we always pass by attractions like this. If it were up to me, we would definitely stop. I seriously need to marry an easygoing man because I think have "travel ADD." My dad has only been to Oklahoma twice to visit and he has stopped at the Worlds Largest Rocking Chair both times - he lives for that kind of stuff. He also loves stopping at exit 118 for Redmon's fudge. haha that chair is awesome! and you and the bride look awesome!! Holy crap! Thats huge! That would be awesome if you could actually climb up on it and sit in it! we just visited route 66 in NM- there was so much to see! next stop on route 66 - TULSA! And my husband is the same way.. super bor-ing. But he is starting to come around. We went to the Jolly Green Giant a couple years ago - super fun! I LOVE stopping at small roadside attractions. 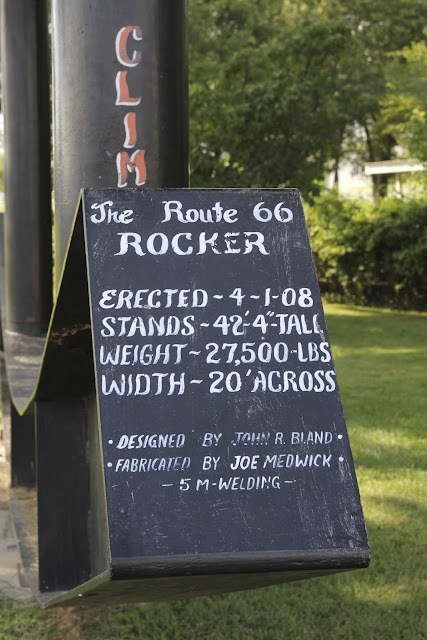 I made my parents stop at The Big Well in Kansas just so I could say I'd been. They thought I was being ridiculous, but I really wanted to go! holy cow! that is HUGE!!! That is so huge. I know my husband would have tried to get up in the seat. I would have totally been okay with standing below. My Best Friend's Wedding is one of my favorite movies, I absolutely adore everything Julia Roberts. I totally would have stopped! This is what road trips are made of. My cheesiest claims to fame so far are Wall Drug (and I see I'm not the only one...) and The Corn Palace. The world's ONLY corn palace. The Color Run: A Discount Code For You! Look! I Made a Vlog! Or Not.